Anthony Scelba was a student of David Walter's for 11 years. 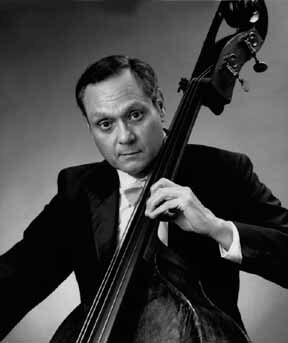 He earned a Bachelor's and two Master's Degrees at the Manhattan School of Music and became the first person to earn a Doctor of Musical Arts Degree in double bass from the Juilliard School. He is the 1983-84 winner of the Fulbright Performing-Artist Award for Seoul, Korea. In 1984 he preceded his teacher to China to give Master classes. For 10 years he was Principal Double Bassist of the New Jersey Symphony. He has taught at the Hartt School of Music, the Manhattan School, and Baylor University. In 1998 he was named "Musician of the Year" by the Musicians' Guild of Essex and Morris Counties. He is founder of the Yardarm Trio and a member of the tenured faculty at Kean University. Amarcord. I remember my first telephone call to David telling him that I was accepted into the Manhattan School and wanted to study with him. I remember my first lesson that went on for hours and scores of other lessons. I remember the ensemble classes on Sunday mornings, the sonata coaching sessions, the weeks of chamber music at "Mostly Dune," the packing and the moves from apartment to apartment, the endless discussions about music, politics, literature, philosophy. I remember working with him and partying with him at the Casals Festival and at Waterloo. I remember his marvelous performances - dozens of them - and the ease and peerless musicality of his playing. I remember his wonderful stories and how he made me laugh. Most of all, I remember a man whom I love and admire. He has been in my thoughts since I met him nearly 40 years ago. To this day, his words are an inspiration and guidance to me in all my musical undertakings. I am proud to call myself a student of DW. Twists of Fate is a short two-movement work built from the melodic component eS (Eb) C E La (A natural) B Ab - the musical rendering of my name. It uses 12-tone technique quite loosely to create cells of contrasting tonal planes, set in a quirky context of rhythmic anomalies. The title comes from a playful reference to the opening motive of Beethoven's Fifth. More information on Anthony Scelba.